Please bookmark this page to stay on top of the headlines. Check out our news crawl on the homepage or view our Press Coverage below to learn more about what's happening across our accredited Network. 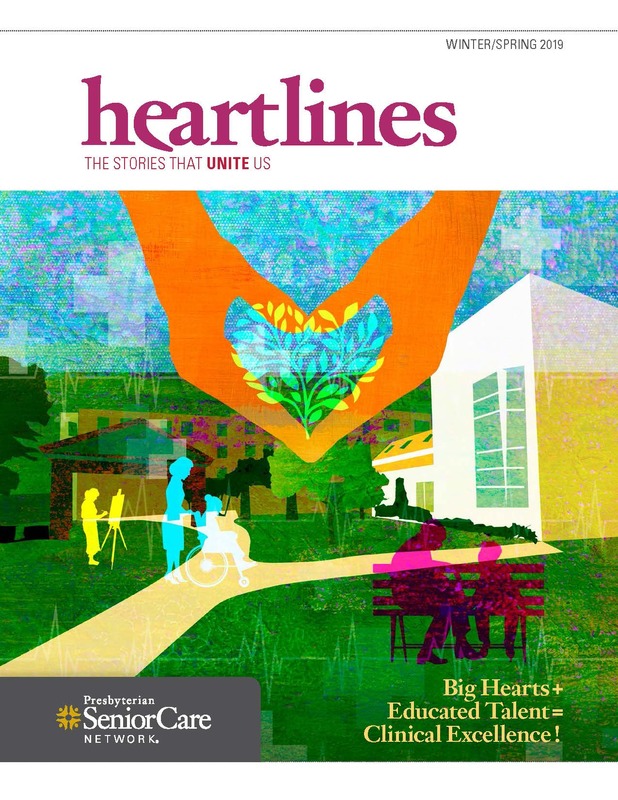 Click on the photo below to view the new heartlines magazine for campus happenings, events and news. Click on the below link to access the Annual Report. Learn how the availability of different levels of care on one campus has created a supportive network for Wes Posvar and his wife, Palmer. 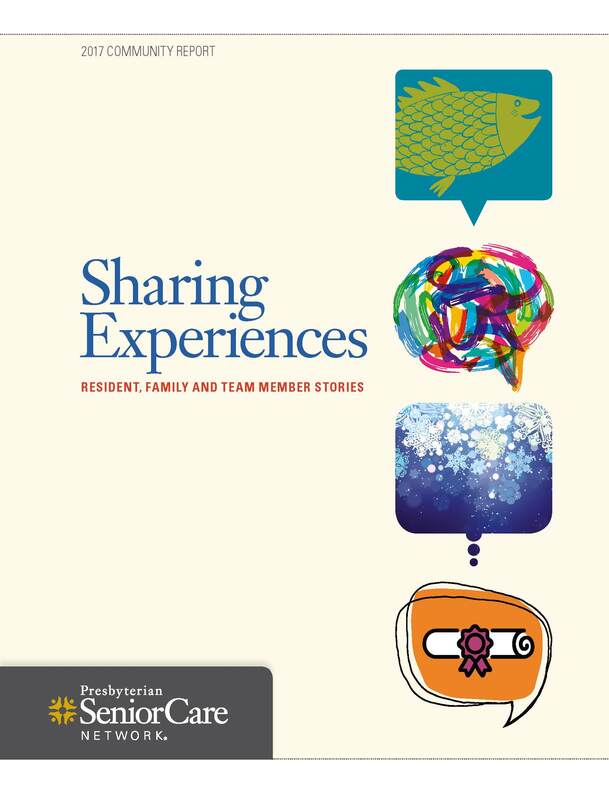 Learn how Jan's mom thrived once she moved to Woodside Place, the dementia-specific personal care community at Presbyterian SeniorCare Network, Oakmont campus. Learn how exemplary support for her mom inspires Pat to volunteer at Presbyterian SeniorCare Network. Masterpiece Living® Awards Five Organizations Following the 2019 Network-Wide ‘Living It’ Challenge! Masterpiece Living® (MPL) is a well-known authority in Senior Living for its successful aging initiatives. Each year, MPL challenges its more than 80 partner organizations around the country to share how they are “Living It!” Living It® is a four-week campaign designed to inspire and challenge people to try new pursuits in the four components of wellness: Physical, Social, Intellectual and Spiritual (i.e. meaning and purpose). Congrats to our Longwood at Oakmont and Shenango on the Green campuses for winning Living It awards during this special week! Read more! The building is already going up, and Presbyterian SeniorCare Network has taken another step toward funding our dementia-specific community at our Washington campus in South Strabane Township. The Washington County board of commissioners on Thursday adopted a resolution approving a $50,000 grant by the Washington County Hospital Authority to Presbyterian SeniorCare Network to help build the standalone facility. Read more! November is National Alzheimer’s Disease Awareness Month, aimed at making people more aware of the disease, and bringing to light care options available for those affected and their caregivers. Check out this great article published by the Washington Observer-Reporter for facts, figures and quotes on how to live in the moment.